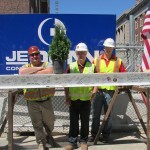 A few of our employee-owners recently gathered for a topping out ceremony at Tate Hall, one of our University of Minnesota projects. 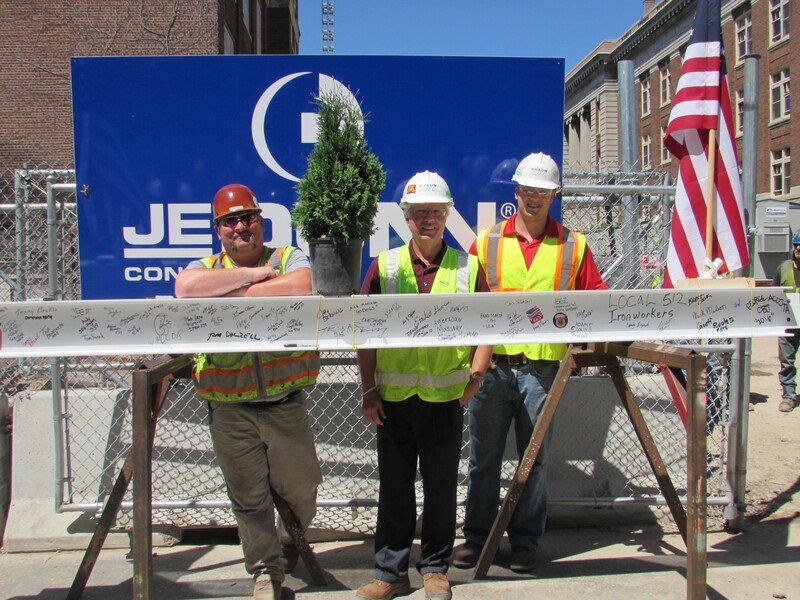 This topping out ceremony celebrated a significant milestone in the project’s construction as the final structural beam was placed on top of the building. 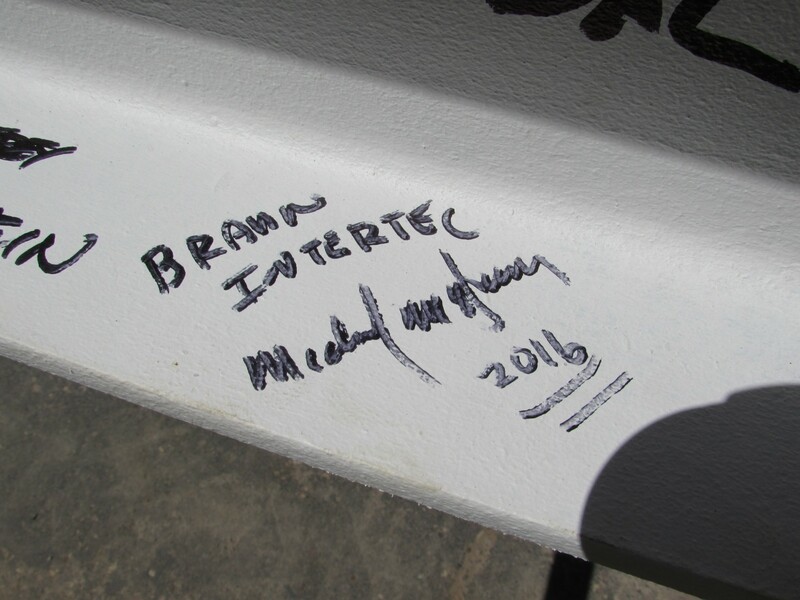 As custom dictates, project team members signed the beam before it was hoisted to the top of the building and put in place. Originally built in 1926 with two additions in the 1960s, Tate is a prominent building on the University of Minnesota Northrop Mall. 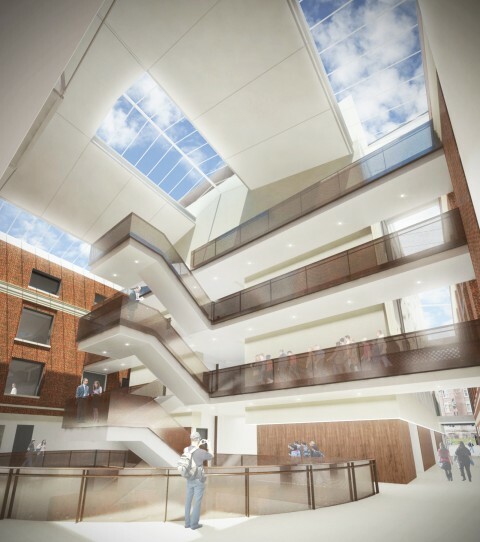 Renovations began in September 2015 to transform the outdated space into vibrant classrooms that will improve instruction, research, and support services, while preserving the building’s architectural character. 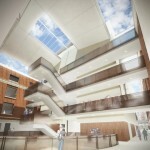 Once complete in November 2017, Tate will house the Newton Horace Winchell School of Earth Sciences and the School of Physics and Astronomy. 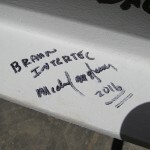 Several of our technical groups at Braun Intertec have had a hand in the development of this project, including: Drilling, Non-Destructive Examination, Building Sciences, Environmental Consulting, Structures Evaluation, Construction Materials Testing, and Engineering. 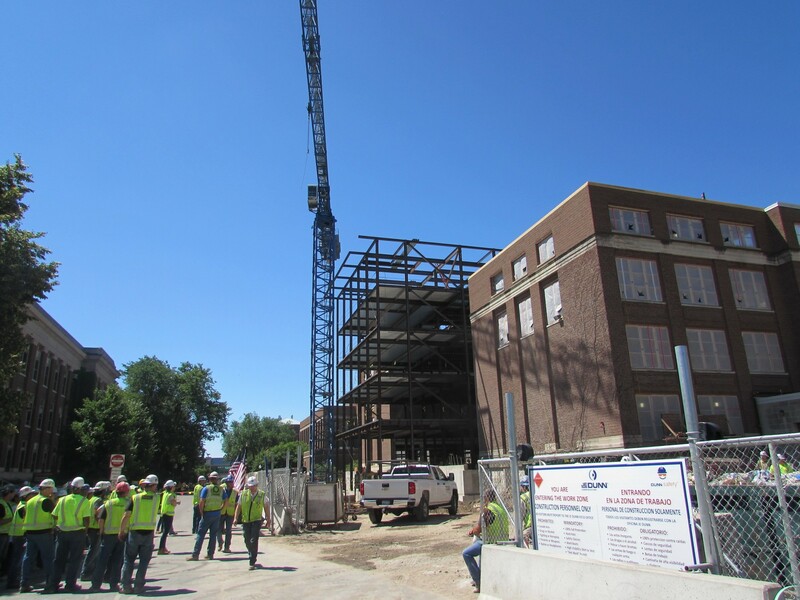 These groups provided a number of services for this project such as: CPT services, special inspections and testing, roofing design review and inspections, pre-construction surveys, vibration monitoring, and concrete testing. 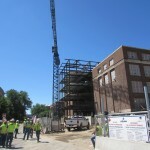 For more information on the project and to view a live-stream of the construction, click here.